In the summer of 2002, Richard Chizmar launched what would become one of the most popular horror anthology series of the last two decades when his new anthology called Shivers debuted at the Horrorfind convention in Baltimore, Maryland. 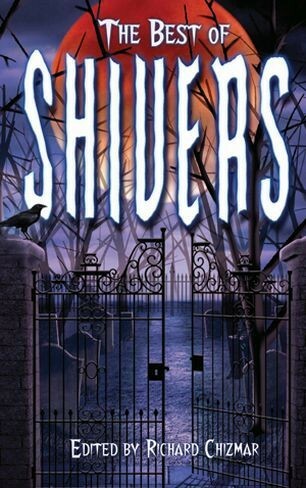 To date, there have been seven volumes in the Shivers series, which have collected nearly 150 tales of horror and dark suspense by many of the bestselling horror authors of all-time, along with some of the most exciting new voices from the small press and independent publishers of terror. Almost all of these volumes are long out of print, some of them fetching high prices on the secondary market. Cemetery Dance Publications is pleased to announce the first-ever "best of" Shivers, which will collect Richard's personal favorites from the series. Stories by Stephen King, Peter Straub, Stewart O'Nan, Bentley Little, Jack Ketchum, Gary A. Braunbeck, Glen Hirshberg, Ed Gorman, Brian Hodge, Stephen Mark Rainey, Graham Masterton, Sarah Pinborough, Peter Crowther, Simon Clark, Brian Keene, Thomas Tessier, Ray Garton, Kaaron Warren, and Norman Prentiss are already on the table of contents... and there will be stories by TEN more authors revealed later this summer! We don't expect the signed copies to last long, so be sure to reserve your copy today and stay tuned as we unveil the full table of contents for what will prove to be one of our most exciting anthologies in years!